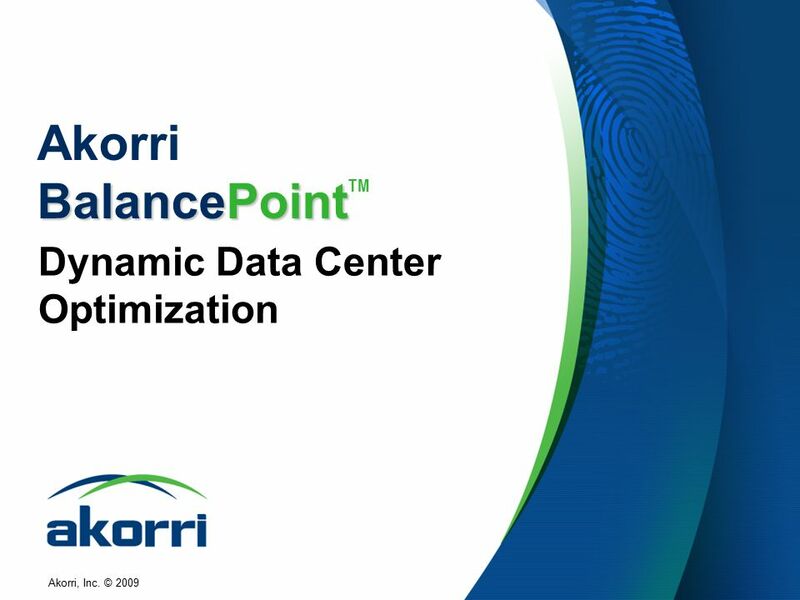 Akorri, Inc. © 2009 BalancePoint Akorri BalancePoint TM Dynamic Data Center Optimization. 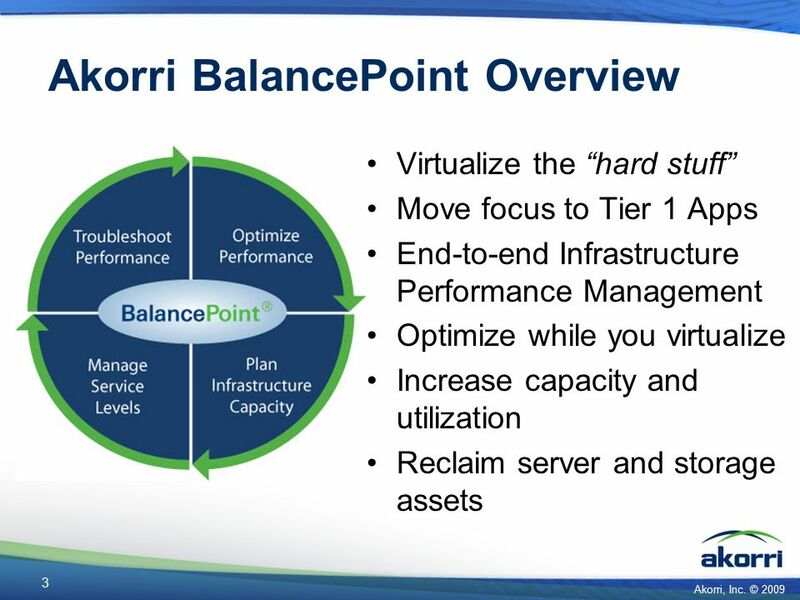 2 Akorri, Inc. © 2009 2 The Challenge: Insight into All Layers of the Virtual Infrastructure How can I ensure Tier-1 applications perform across all layers of the virtual infrastructure? 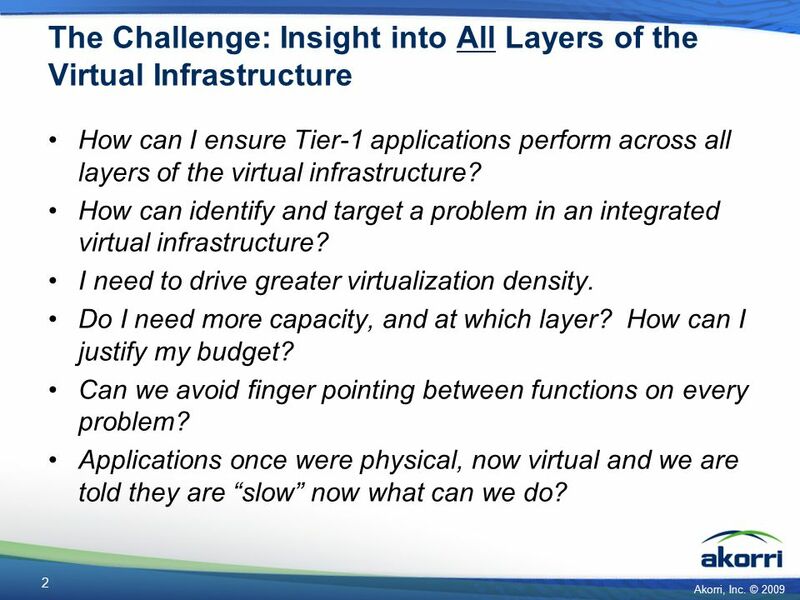 How can identify and target a problem in an integrated virtual infrastructure? I need to drive greater virtualization density. Do I need more capacity, and at which layer? How can I justify my budget? Can we avoid finger pointing between functions on every problem? Applications once were physical, now virtual and we are told they are “slow” now what can we do? 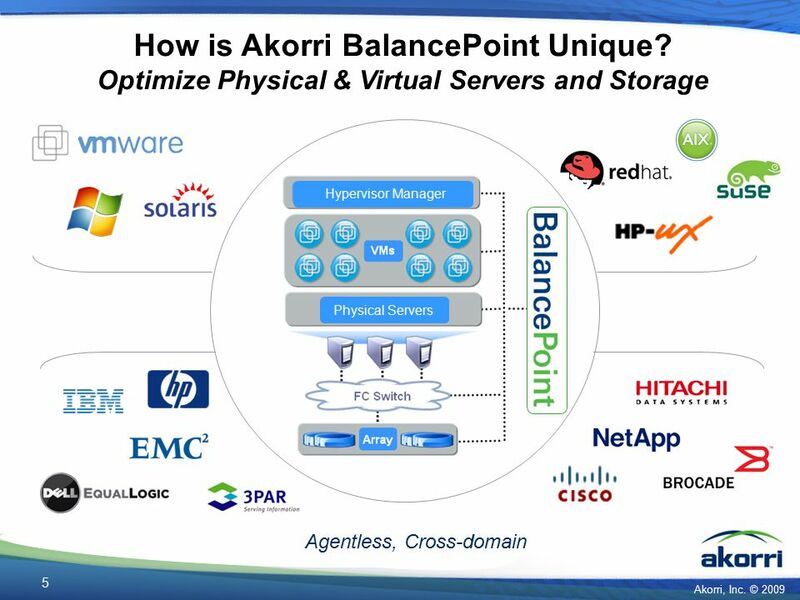 Download ppt "Akorri, Inc. © 2009 BalancePoint Akorri BalancePoint TM Dynamic Data Center Optimization." 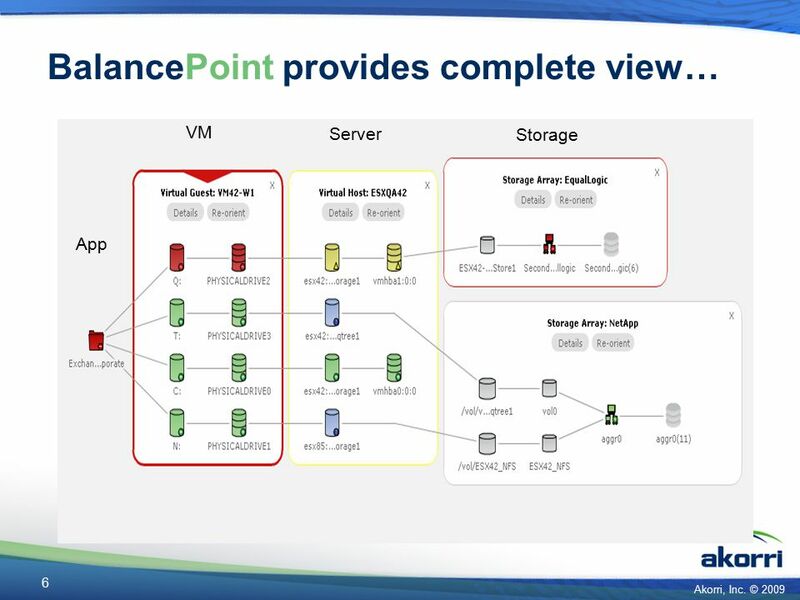 Xangati Virtual Appliance Suite 2 nd Release August 23 rd, 2010. Housekeeping Utilities for VMware. 11 June Housekeeping is preparing meals for oneself and family and the managing of other domestic concerns. © 2007 Open Grid Forum Grids in the IT Data Center OGF 21 - Seattle Nick Werstiuk October 16, 2007. 1© Copyright 2013 EMC Corporation. All rights reserved. EMC STORAGE ANALYTICS With VNX and VMAX Support. Colorado VMUG Whats VMware? November 2, 2009. Customer Presentation ThinkServer EMC VSPEX Private Cloud Solutions. 1© Copyright 2014 EMC Corporation. All rights reserved. 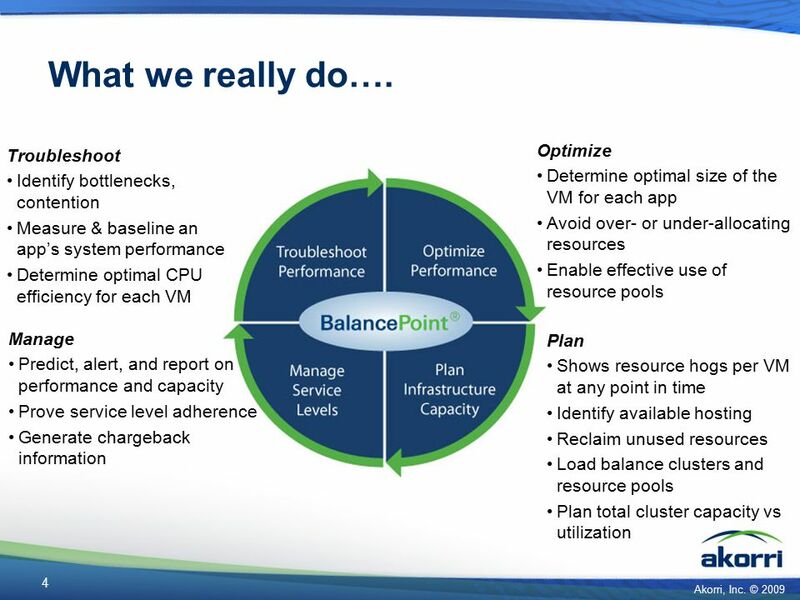 Results Lower operating costs Expect savings of $500K over three years Foundation laid for Software-Defined. ©2013 Avaya Inc. All rights reservedFebruary 26-28, 2013 | Orlando, FL. 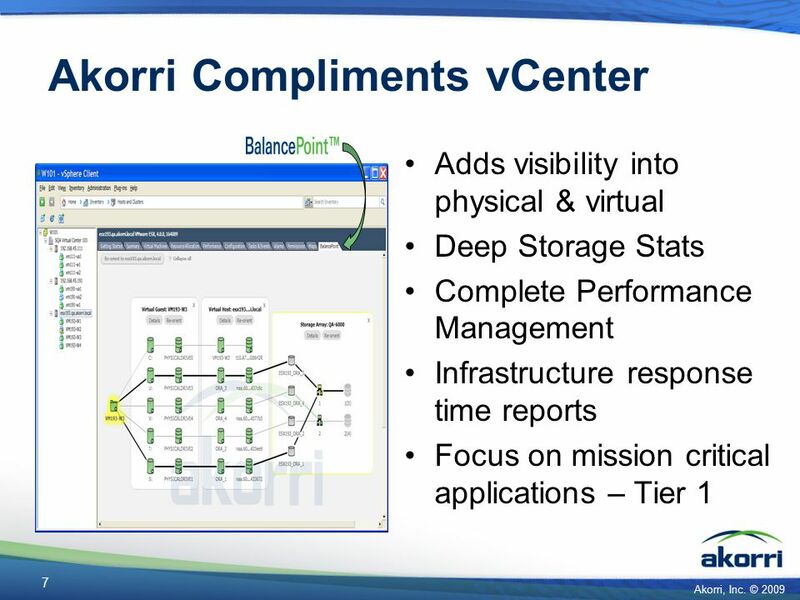 © 2009 VMware Inc. All rights reserved Confidential VMware vCenter Capacity IQ overview David Morahan Technical Pre-sales. 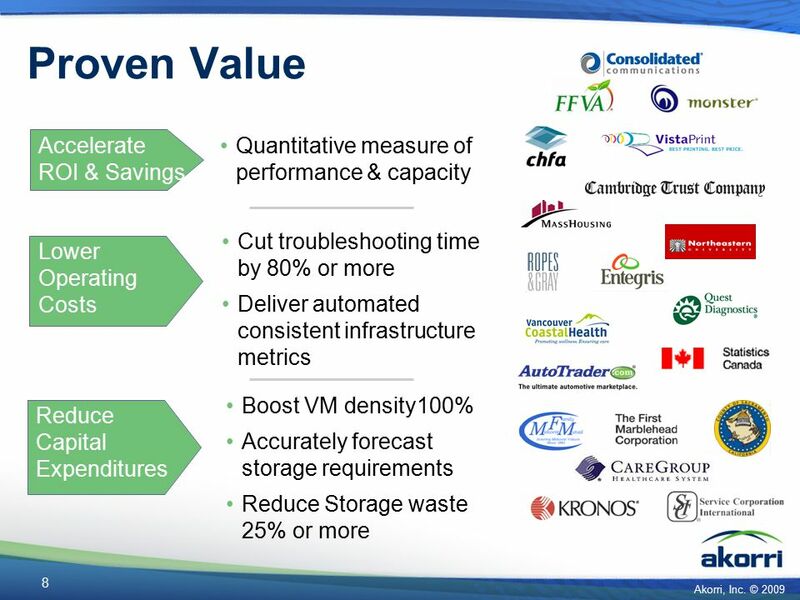 © ORSYP 2011 Confidential Best practices for optimum IT Capacity Utilization UKCMG 2011 Tony Beeston Product Marketing. © 2009 VMware Inc. All rights reserved IT Trends and Industry Vision Doug Bourgeois, Vice President, Chief Cloud Executive, VMware US Public Sector June. Capacity and Chargeback Virtual Appliance for VMware ESX October 23, 2007 Alex Bakman. VoIP: Full Lifecycle Management Russell M. Elsner APM Technology Director OPNET Technologies, Inc.